Thought you knew everything about Williams Bros? Test your local knowledge. You might learn something new! Williams Bros had their own grocery savings card called Williams Club. In an effort to bring more value to their customers it was introduced in March 1993. Instead of cutting coupons a cardholder would save time and money by swiping the card at the checkstand. There are still Williams Club cards in use today. Many loyal Williams Bros shoppers refused to update their cards and can still use them at Vons. Williams Bros founder Merrell Williams once owned the property at 102 South Vine Street in Santa Maria. The property with the former Elks Lodge was converted into Merrell's Steak House. Merrell's Steak House operated during the 1970's and eventually was purchased and leveled as part of the Town Center Mall project. The site is now the north Sears parking lot. The Williams family also owned a chain of restaraunts known to locals as Farm Boy and The Girls. 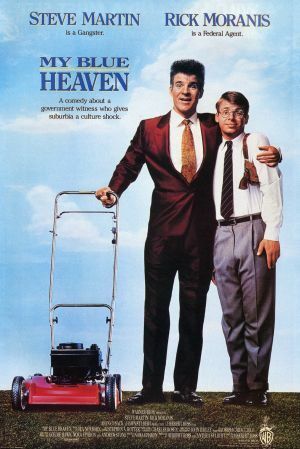 Several scenes from Steve Martin's 1990 movie, My Blue Heaven, were shot in a Williams Bros. Market in San Luis Obispo at their former location at 1314 Madonna Road. These scenes included interior and exterior of the grocery store. FUN FACT: The box boy bringing the long row of shopping carts in at the beginning and then carrying out Steve Martin's groceries is not an actor but an actual Williams Bros. employee and former bagging champion, Mike Doty. Do you have Williams Bros trivia for this section? Email us!